The Wax Lounge is a 5 star, award-winning eco-conscious spa that uses only the highest quality, all-natural, cruelty-free products and ingredients. We have a team of highly skilled and experienced holistic beauty therapists who are all fully trained and professionally qualified to ensure the highest standards of service. All treatments are delivered with an emphasis upon great hygiene, sterilization, sanitization, relaxation, expert application and your well-being in mind. Each visit begins with a consultation with one of our highly experienced certified aestheticians to determine your unique needs. We do not believe in a “one size fits all”. Manicures, pedicures, reflexology and massage are all performed using all natural avocado butter, coconut oil, essential oils and vegan polishes. Scrub and treatment balms are all natural and made in-house using organic, fair-trade, therapeutic-grade ingredients. We also offer a wide range of amazing all-natural beauty products created by some pretty fantastic local women – Fitglow, Lovefresh, RDevine skin care, Kaia Bamboo cleansing cloths, Burlap and Twine, Eve Taylor, Billion Dollar Brows, Monarch Tea, Pure on Locke candles, Wick Witch candles, Crown Point Candles, On A Branch skin care. Everything from all-natural soaps, scrubs, bath bombs, deodorants, body butters and lotions, lip balms and more! Enjoy our new points program where you’ll be rewarded for your loyalty. Earn points to be redeemed as cash towards services. Each $1 spent equals 1 point earned. 10 points redeemed is $1. 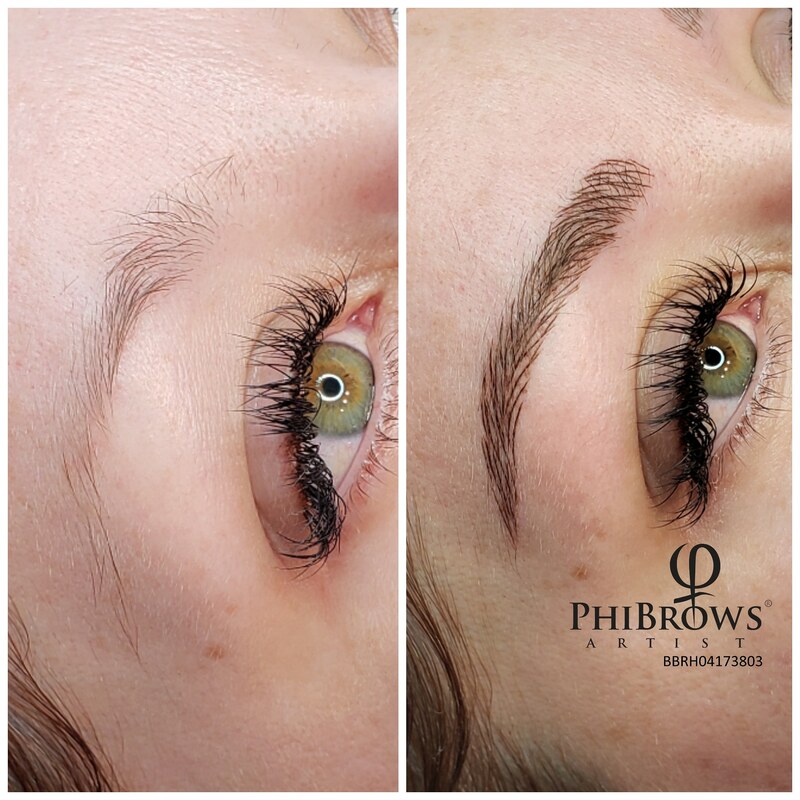 Now offering Phibrows certified microblading! Raine started her obsession with brows over 20 years ago while working in Toronto as the event makeup artist for Christian Dior. 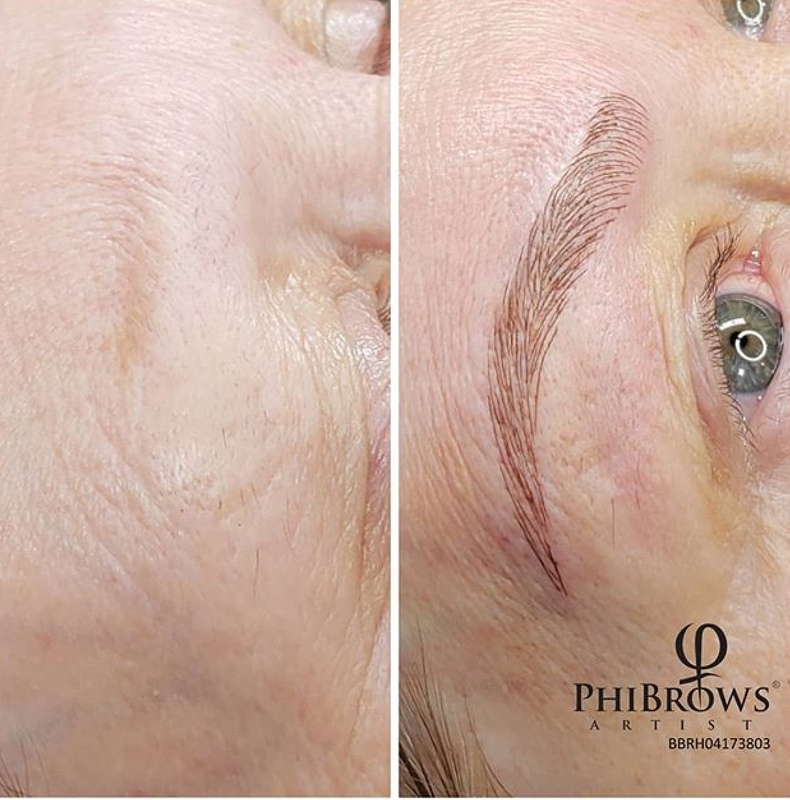 While working at MAC Cosmetics she was able to really master the art of brow shaping so to be able to customize the perfect shape to fit each face. 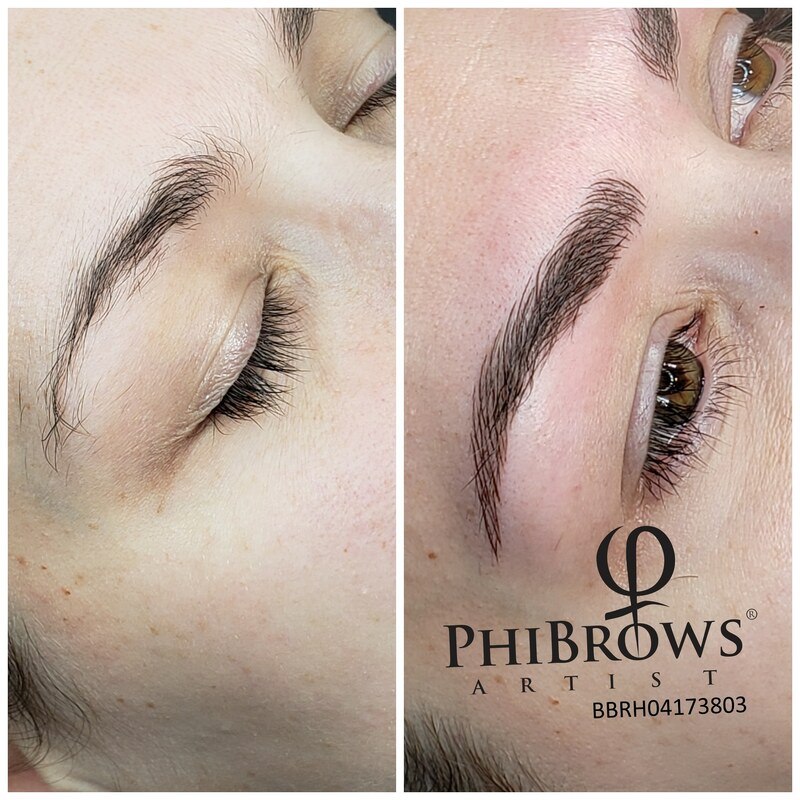 Perfecting her craft of brow shaping/waxing eventually led to her being the first certified Phibrows microblading artist in Hamilton. 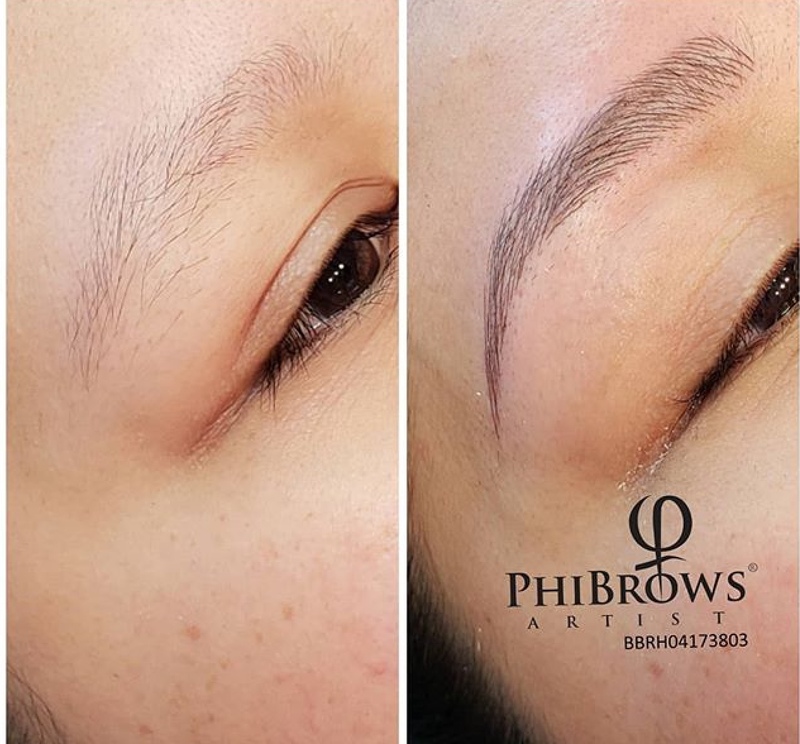 She has since also gained certification in Phibrows manual shading. 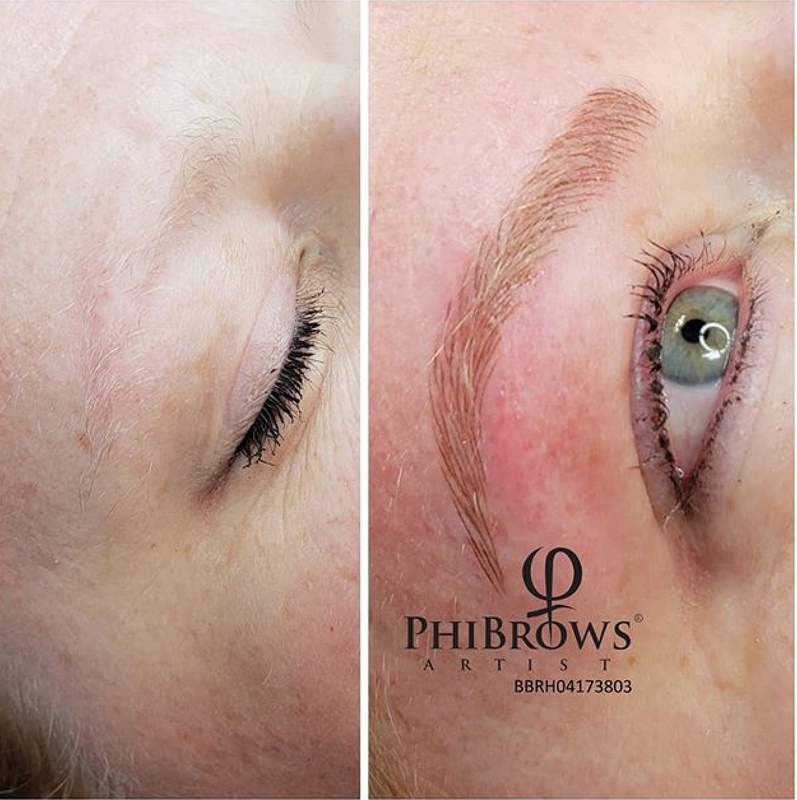 Phibrows is the gold standard of microblading education and uses the highest quality pigments available that last longer and never turn red/orange. 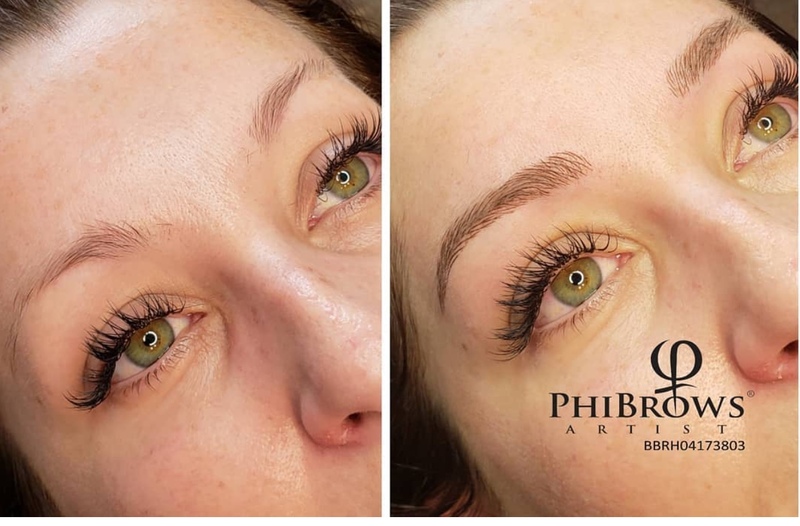 Raine specializes in a soft and natural brow effect with her microblading skills and so is highly sought after by those looking to achieve the most natural effect that mimics their own hair. Call to book your microblading service today! What makes our waxing services so special? We use only the highest quality hard wax – which doesn’t adhere to the skin. This means you receive the most gentle, yet very efficient, wax with the least amount of pain possible. This intensive prescriptive facial is designed to restore balance and recondition the skin. Whether the focus is on anti-aging, hydration, or acne/oil control, only the highest-quality organic products are used. With Reiki, Indian head massage, lymphatic massage using jade rollers and marble stones, heated jade stones and foot massage with reflexology, it is designed to bring the mind also to balance. This massage has a bit of everything! Body massage using hot stones , Indian head massage, foot massage with reflexology, aromatherapy and Reiki. The ultimate in relaxation! This pedicure is designed for feet needing love and attention. Foot soak with Epsom salts and essential oils, cuticle and callous work, intensive foot and leg massage using hot stones and essential oils for sore and aching muscles and hot oil treatment for dry skin. No polish is applied with this treatment. *All pedicures are performed while on a plush heated bed and is a client favourite. We use only massage blends created by us using all-natural, organic, fair-trade ingredients. *Polishes are vegan and formaldehyde, toluene, dbp, resin free. Create lift, curl and definition to natural lashes! Lash lift is the newest in semi-permanent lash curling that works with your natural lashes. Lash Lift uses different sizes of silicone pads and each last is “lifted”, creating a perfect curl for you lash length. With lifted lashes, you eyes immediately open up and lashes appear fuller and longer. As part of this service, we also tint the lashes for even more impact. Lash lift is a great alternative to lash extensions even if your own lashes aren’t particularly long. Please provide 24 hours notice. Services will be charged in full when cancelling within 24 hours. Thank you for your understanding. Join our mailing list to receive exclusive promotions and sales, right to your inbox.